We’d love your help. 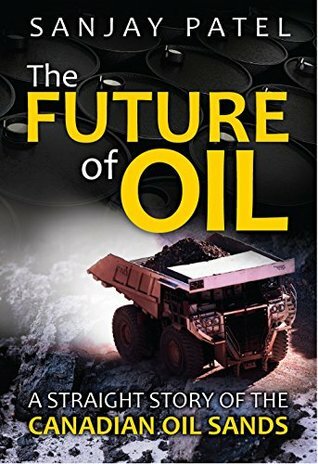 Let us know what’s wrong with this preview of The Future of Oil by Sanjay Patel. Unless we are able to increase the global oil supply, we face a bleak future of depleting reserves and high energy prices. Since conventional oil reserves are dwindling, we have no alternative but to increasingly rely on unconventional oil, and for political, economic, and environmental reasons, the Canadian oil sands offer the very best unconventional oil we can get. Never Unless we are able to increase the global oil supply, we face a bleak future of depleting reserves and high energy prices. Since conventional oil reserves are dwindling, we have no alternative but to increasingly rely on unconventional oil, and for political, economic, and environmental reasons, the Canadian oil sands offer the very best unconventional oil we can get. Never before has a book offered an insider’s view of this controversial industry. The Future of Oil objectively considers economic necessity and the nature of current technological limitations to arrive at a series of connected and inescapable conclusions. The transition to an age of cleaner energy production is necessary and inevitable, but we cannot yet live without oil. Oil must have a future, or we do not have one, and the oil sands of Canada are the centrepiece of that future. The Future of Oil is a clear, concise, yet complete guide to the Canadian oil sands industry. It addresses all the main objections to oil sands development that have been posed by journalists, environmentalists, First Nations leaders, and others. The author does not sugarcoat the hard facts, but objectively presents the arguments of oil sands critics and proponents alike. As a result, readers should have a much deeper understanding of all the issues involved, and be able to form their own opinions. To ask other readers questions about The Future of Oil, please sign up.